All full-time SOGS members are part of the mandatory, universal bus pass program. This was put in effect after a March 2002 vote which was overwhelmingly in favour. The bus passes are only available to full-time graduate students and there is neither an opt-in option for part-time graduate students nor an opt-out for the full-time graduate students. If you pay full-time fees while on co-op, you are eligible for a bus pass during your co-op term. If you pay part-time fees while on co-op, you are not eligible for a bus pass during your co-op term. The bus pass fees are outlined on the fee information page. 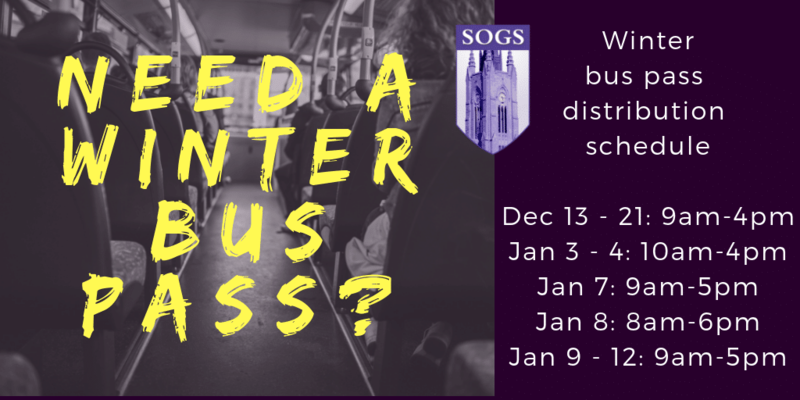 For those students ineligible for a SOGS bus pass, see here for alternative options. For more information regarding the bus pass, please contact the SOGS Office. For receipts regarding the bus pass, please contact the SOGS Accounting Manager. Your WesternONE Student card functions as your tap bus pass AND student card. If you experience issues with your Student card, please go to the Student Services Building (SSB) and ask for help. For example, tap cards can become demagnetized and the SSB can re-magnetize it for you, and troubleshoot other issues for you. Over the next few years, Western and London Transit are phasing out the old paper bus pass and are implementing a tap pass system that will use new student cards as the bus pass. Regardless of how the bus pass is distributed, the graduate student bus pass contract is negotiated and managed by SOGS. If you have any questions about the bus pass, please contact us. If your bus pass has been lost, replacement bus passes are available from the SOGS Office (UCC 260). To collect a replacement pass, you must provide your student card and $20 (cash only).